Good fare; heartsick farewells. Both have been woven into the quilt of our lives. In the last year, most of my time has been spent immersed in the former, respiting from the latter. Not so today. Today I drove Mark to the airport and said goodbye for several weeks as he traverses Irish pubs and Norwegian fjords. As I was winding my way down the parking garage on foot, trying to locate my car and not at all understanding how I walked out of the airport three floors above where I needed to be (probably all the crying), I felt pangs of sadness for the physical distance that will exist between us. It is in moments like those that I find it difficult to reconcile the juxtaposition of being both a homebody and a traveler. The thread that binds that dichotomy is food. Fare. Be it preparing, serving, or being served, good food grounds us. This is a soup for when you are in need of grounding. In our several months in Greece, we never experienced Avgolemono. We ate more souvlaki than a reasonable person should (and let me go on record with saying it still wasn't enough). Daily were our walks to the bakery for koulourakia with orange blossom honey glaze. On many a hot afternoon we prepared the labor intensive moussaka, perfecting a recipe that any Greek would have argued was not as good as their own. But Avgolemono we did not have, though I wish we would've. It is simple; thoughtless, really. 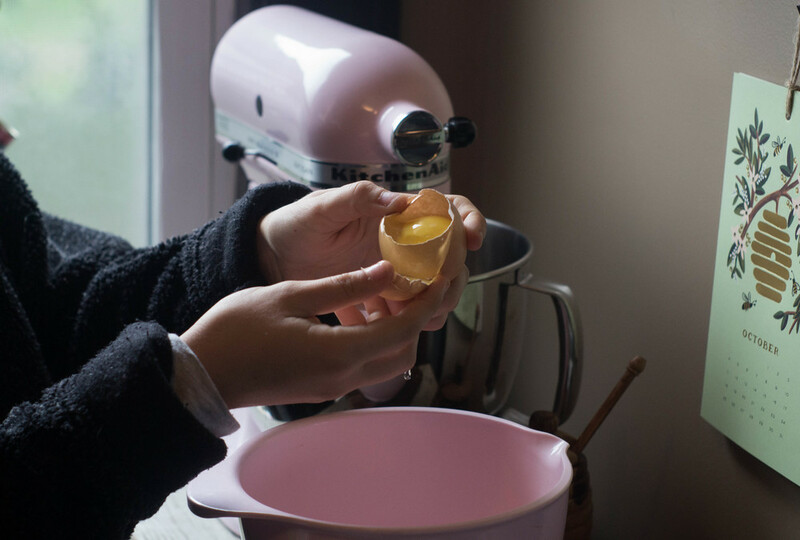 The only skill it requires is a steady hand with the eggs. It is full of good, nourishing proteins and citrus for a weary body. It hails from the Greeks, a people whom I love, respect, and trust in the kitchen. Except for the lemon, all of the ingredients are local to Ohio and, more importantly, seasonally available year-round. All this to say, if you have a loved one in need of care-taking, make soup. Few things do a mind and body as well as soup. Bring broth to a boil over medium-high heat. Stir in the barley and allow it to cook, 8-10 minutes. While the barley is cooking, in a mixing bowl whisk eggs, yolks, and the lemon zest and juice until foamy and well combined. Slowly pour 1/2 c. of the broth into the egg/lemon mixture, whisking all the while. Heed the bit about pouring slowly. You don’t want to cook the eggs. Pour all contents into the soup, again pouring slowly and constantly stirring the soup. Season with salt and pepper. Allow to thicken for about 6-8 minutes, stirring frequently. Ladle the soup into bowls, and feel free to garnish with any number of garnish-y things: lemon zest, herbed chèvre, more cracked pepper, a bit of fresh parsley. If you’re sick like we both were, you’ll opt for none of those and dive straight into the soup.